CHENNAI: The Election Commission has allotted 'gift pack' as the common symbol for candidates of T.T.V. Dhinakaran's Amma Makkal Munnetra Kazhagam (AMMK) in Tamil Nadu. In a tweet, Dhinakaran thanked the Election Commission for allotting the symbol for all its 59 candidates contesting the Lok Sabha polls and Assembly by-elections in the state. "The people were waiting to see the election symbol to be allotted to AMMK. 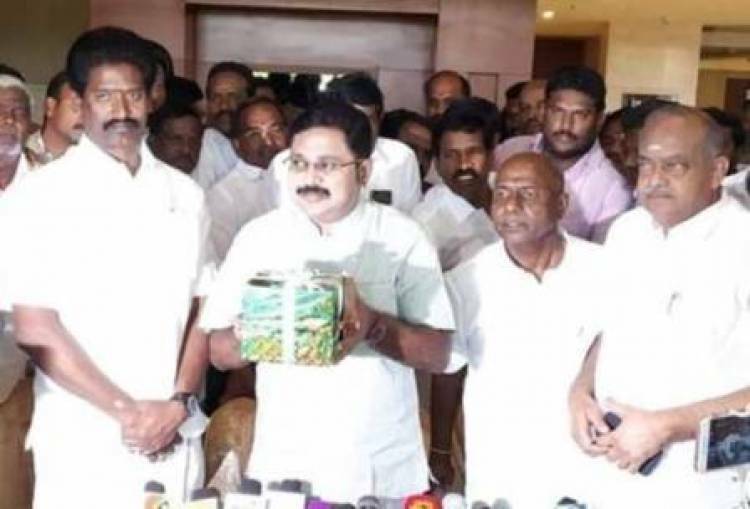 This morning the symbol 'gift pack' was announced by the Election Commission," AMMK leader Thanga Tamil Selvan said. "Reaching out the symbol to the people is not difficult. We are also not perturbed if the 'pressure cooker' symbol is allotted to independents," Selvan added. Earlier, the Supreme Court had refused to recognise AMMK's claim over the 'pressure cooker' symbol, with which Dhinakaran won the R.K. Nagar Assembly by-election last year. The Dhinakaran-led party, which will contest elections in Tamil Nadu and Puducherry, was formed after he and V.K. Sasikala were ousted from the AIADMK. The Election Commission has recognised Tamil Nadu Chief Minister K. Palaniswami's group as the real AIADMK and allowed it to retain the 'two leaves' symbol.